Sue Charlton 03/11/2014 Plate Up ! Who in their right mind would name their restaurant The Throbbing Strawberry ? Well someone did and it lives in the Douglasdale area of northern Johannesburg. I recall having gone there on two previous occasions – it didn’t leave a massive imprint on my forehead. We popped in there last night – yes it was so riveting I had to post within 24 hours!!! The menus were delivered to the table relatively quickly. Drinks served relatively quickly. Had to wave my arm in the air for our waitron to take our food order – we thought about leaving after our drinks we were so frustrated in trying to order. I am one of those mad cap people who like their fillet extremely well done “No pink please”. So when my fillet and vegetables arrived and my meat was pink, I sent it back. No qualm about doing that. My better half’s Throbbing Burger (what a name!) was huge and tasty. Lucky you. My fillet returned with the mashed potato and butternut and pepper sauce. It was cooked properly. The sauce was great, the meat tender. The vegetables ??? How bland can sand be ? Words fail me to describe how revolting the mashed potato was. Slightly lumpy and bland. Knowing myself how to make decent mash, I was confused at how wrong they got this side order. Wallpaper probably tasted like caviar by comparison. Yuk. As for the butternut, well it looked like some of it had been abused – pale and insipid in colour. Tasteless. A plop of orange in a bowl vrotting while waiting for the Messiah to arrive. Yuk. What was more interesting was when talking to the waitron and saying how nice the fillet and sauce was, but how awful the vegetables were. It aroused not a blink of an eye. Just a smile saying Oh I am sorry to hear that I will tell the chef. 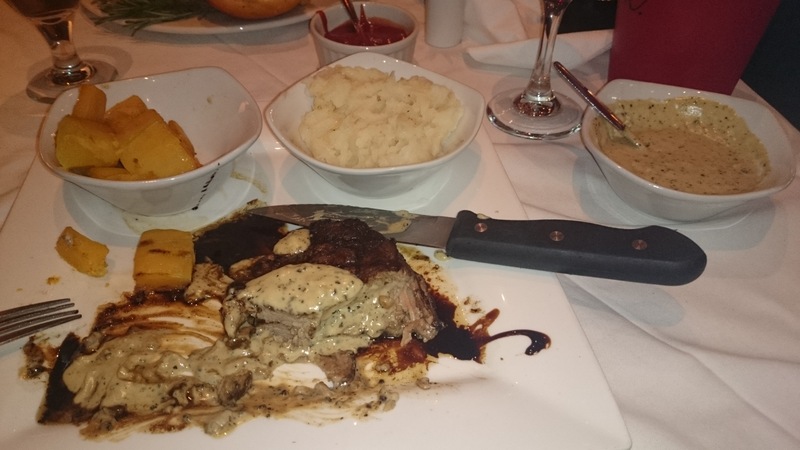 Obviously Old Throbbie thrives on bad food, we never heard from anyone in management during our entire visit – not when the fillet was returned to be cooked properly and not when I mentioned how awful their vegetables were. Don’t waste your time going to THROBLESS – they quite clearly couldn’t be bovvered! Yuk. Your description of the veg leaves me in no doubt as to what they tasted like!